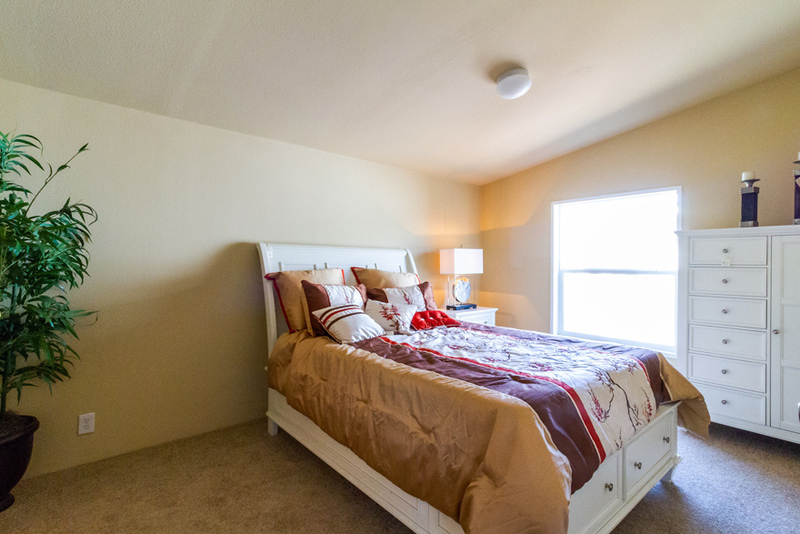 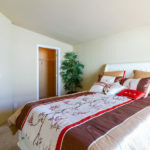 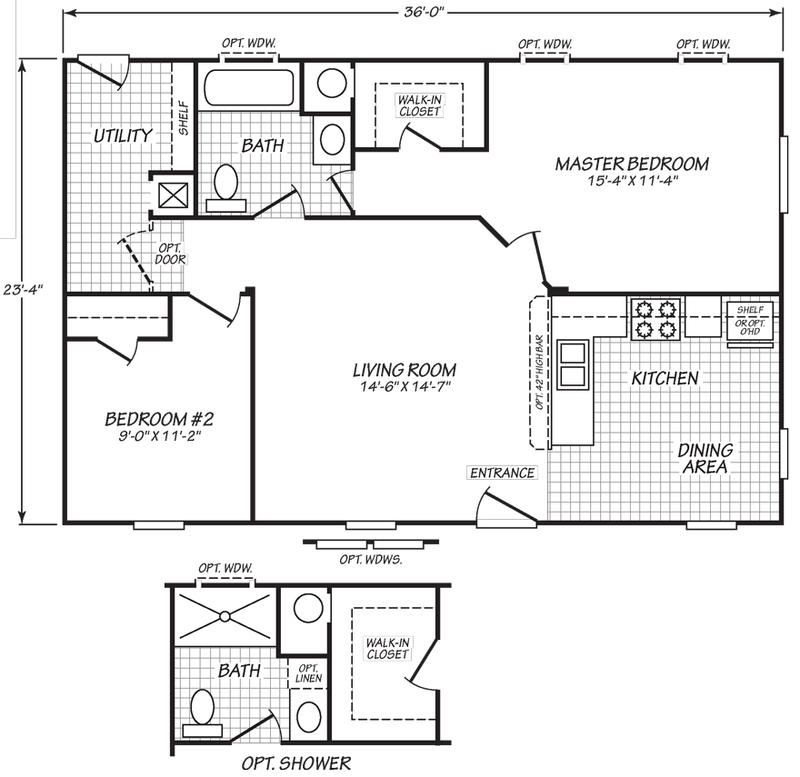 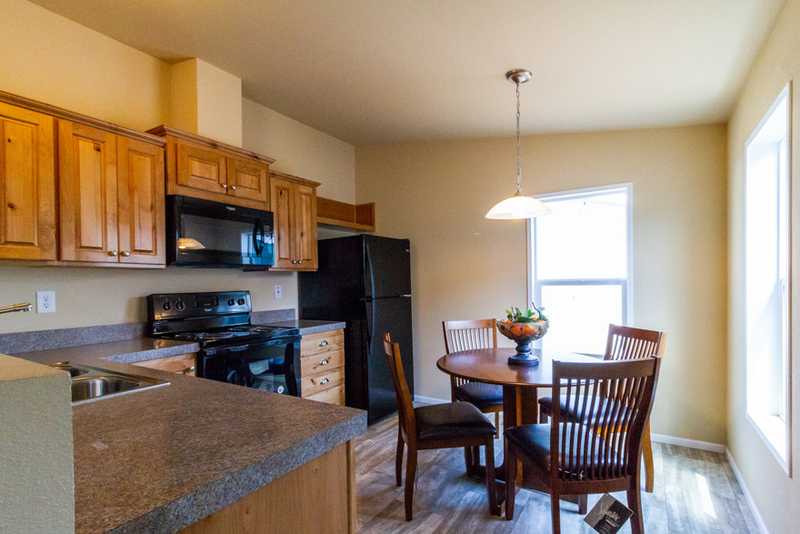 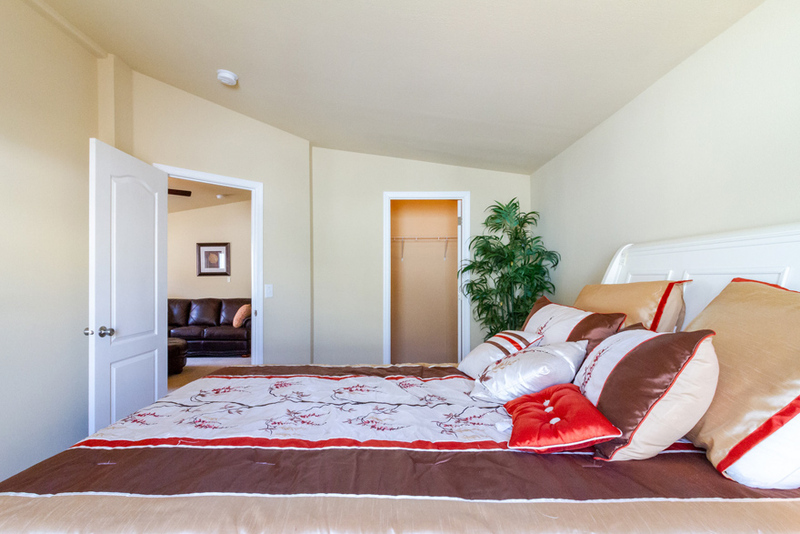 The EV2 model has 2 Beds and 1 Bath. 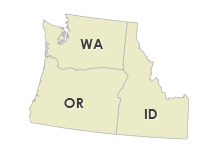 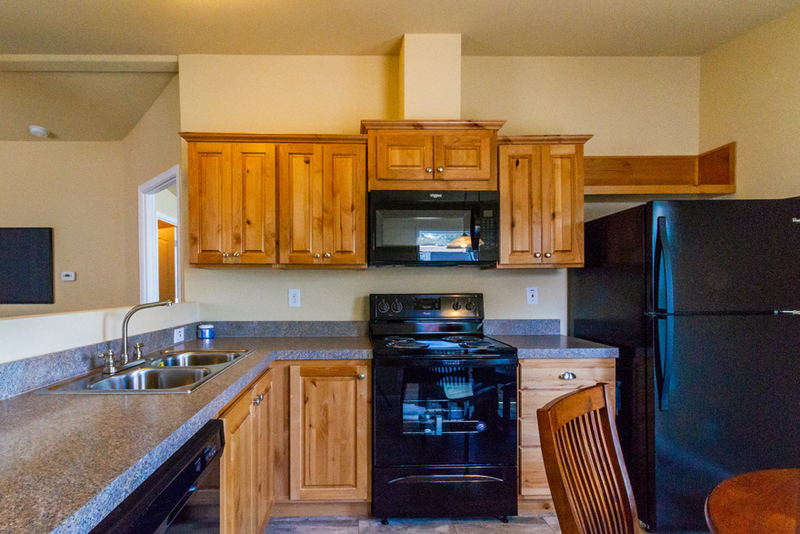 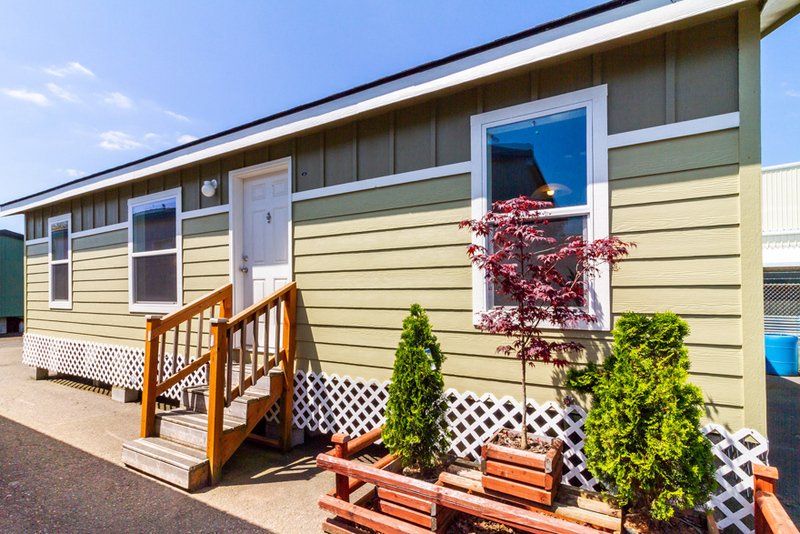 This 839 square foot Double Wide home is available for delivery in Washington, Oregon, Idaho. 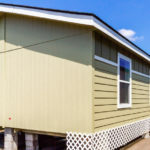 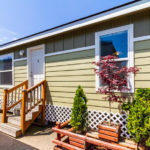 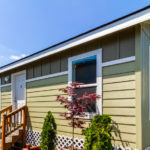 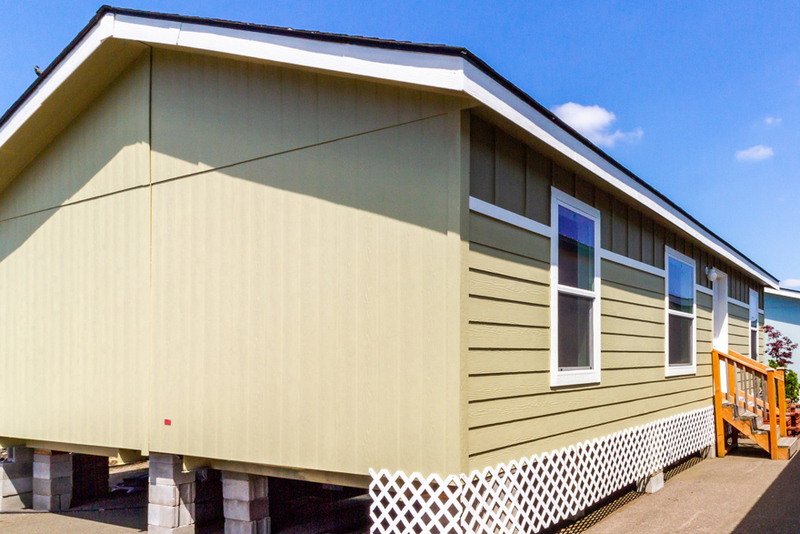 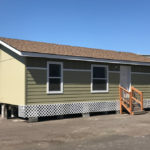 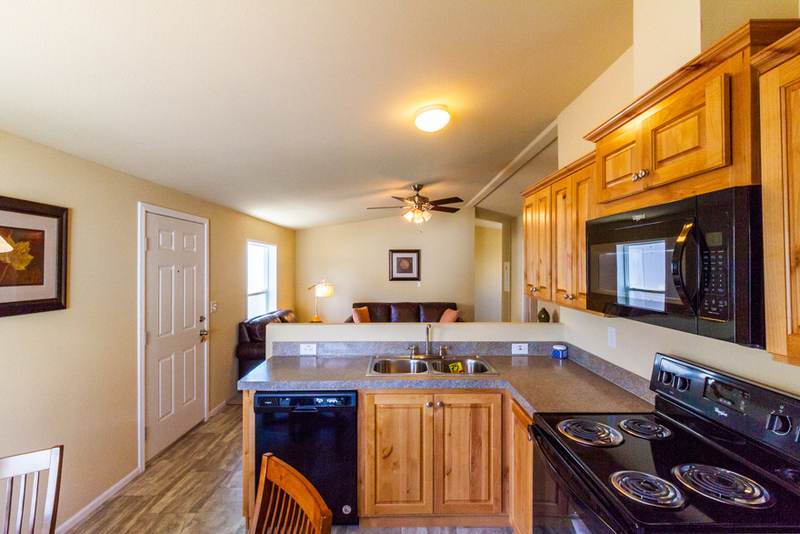 This uncomplicated mobile home is jam-packed with high quality construction features, foremost among them are sturdy 2×6 floor joists, name brand composite shingles with warranty, and tongue & groove OSB floor decking. 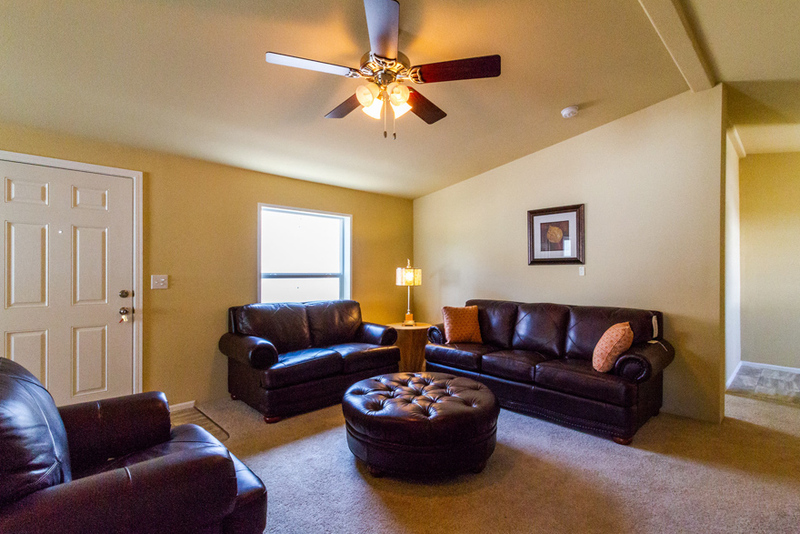 The polished interior comes standard with features such as textured walls, plush carpet and plush carpet with pad. 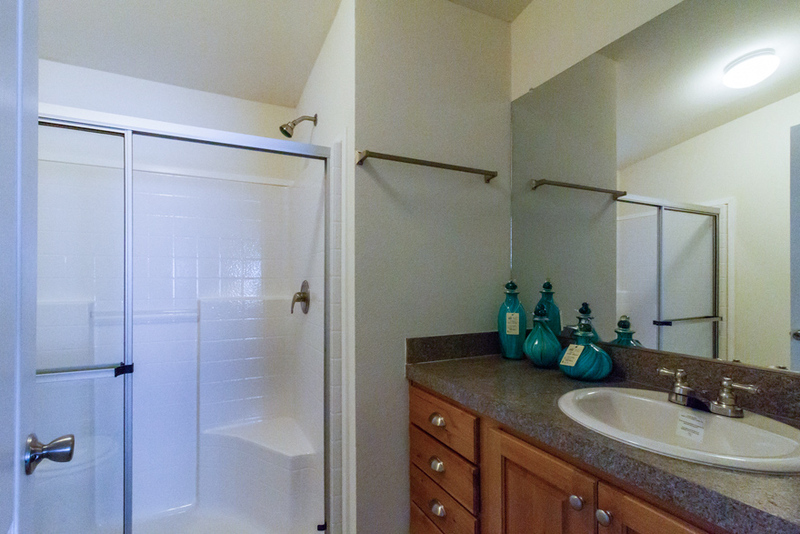 Ask about the alternate master bath options. 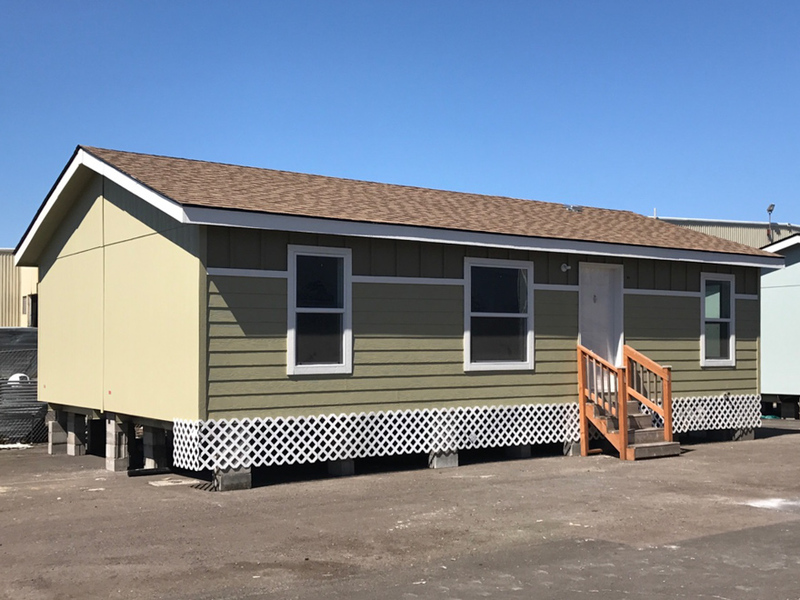 Exterior with upgrade lap siding and board and batt above, upgrade 4/12 roof pitch, standard 12″ eaves around entire home. 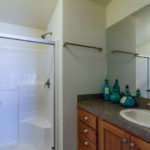 Alternate Bathroom Configuration included with this home changes the master bedroom closet configuation as shown in photo. 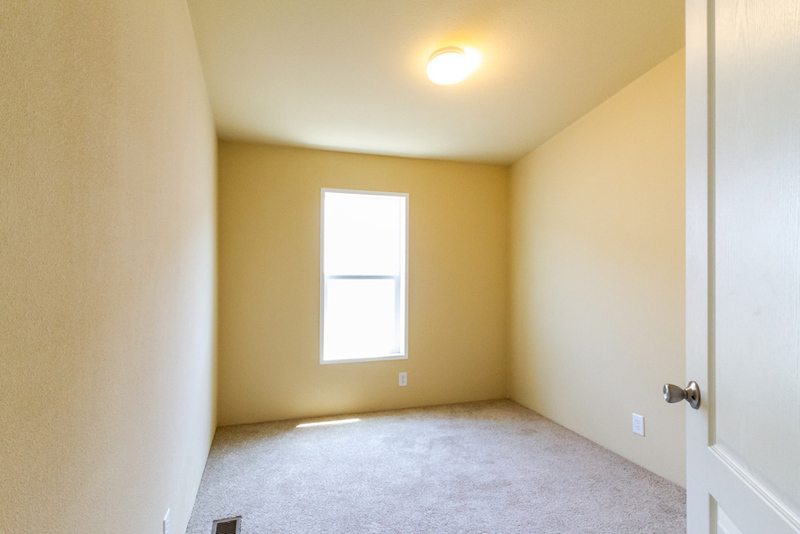 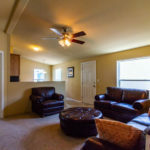 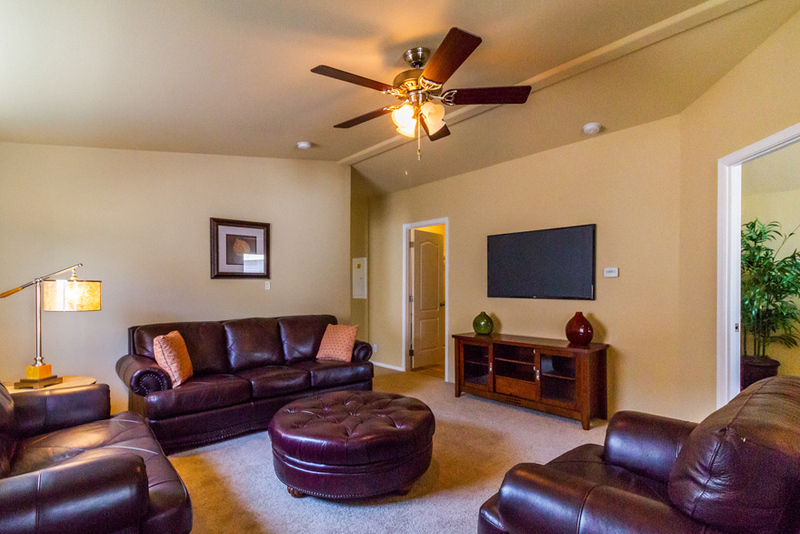 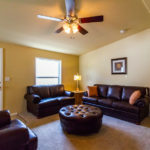 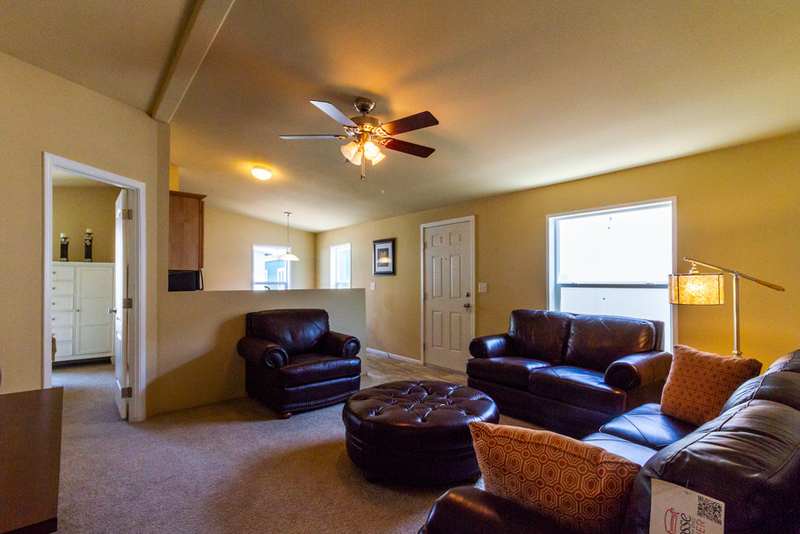 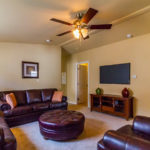 Living room window was enlarged to 46×59, vaulted ceilings are standard. 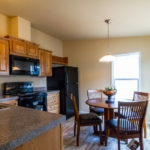 Small dining room area that is large enough for a table and two chairs. 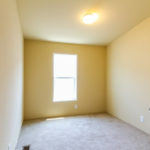 Lots of natural light with two standard windows. 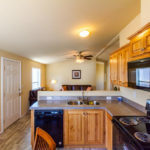 Kitchen open to the living room. 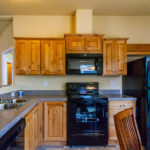 Showing optional Whirlpool dishwasher and optional knotty alder cabinets. 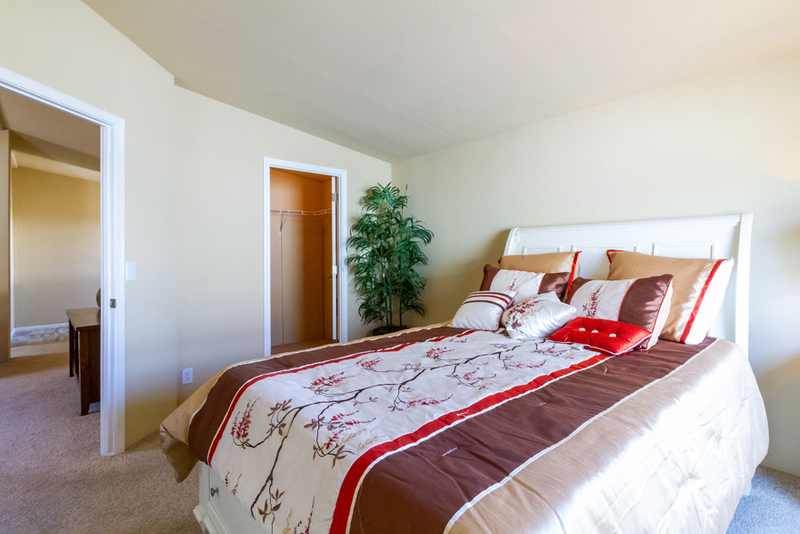 Bedroom #2 is a smaller sized room that can also be used as a den or craft room. 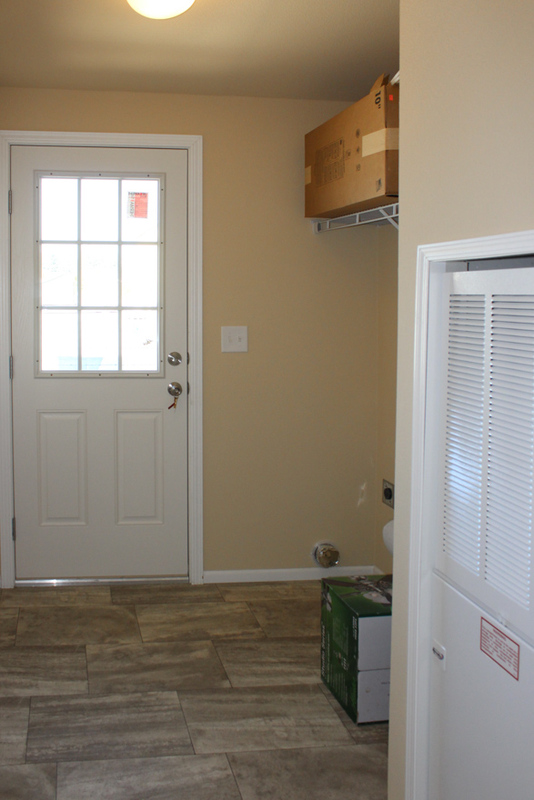 Utility room with optional 9-lite exterior door. 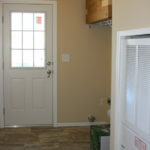 Home is set up for a side by side washer and dryer. 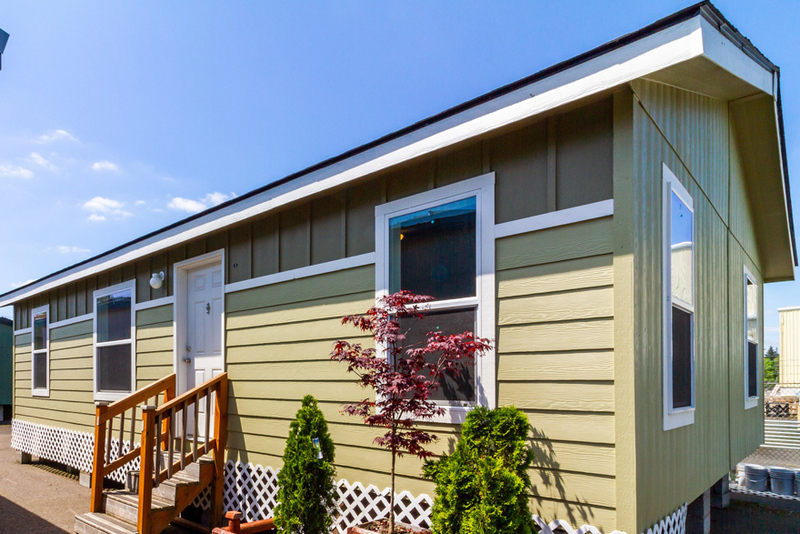 Ask your housing consultant about the other great features that come standard on the EV2 manufactured home.